A conservative think tank said that the Health and Human Services announcement doesn't go far enough and that Secretary Alex Azar "should redirect those funds to modern science and better alternatives." HHS said this week that it will conduct an audit of "all acquisitions involving human fetal tissue" as well as "all research involving fetal tissue to ensure consistency with statutes and regulations governing such research and to ensure the adequacy of procedures and oversight of this research in light of the serious regulatory, moral, and ethical considerations involved." In addition, HHS announced that it has canceled a $15,000 contract for a California-based company called Advanced Bioscience Resources to provide the Food and Drug Administration with human fetal tissue to develop testing protocols. The contract was terminated, HHS said, because the department "was not sufficiently assured that the contract included the appropriate protections applicable to fetal tissue research or met all other procurement requirements." Scientists use fetal tissue in medical research because it grows quickly and is highly versatile and long-lasting. "It allows us to answer specific questions that can't be answered by adult tissue, which is far more specialized,"
NIH Associate Director for Science Policy Carrie Wolinetz told NPR's Rob Stein in 2015. "Fetal tissue can contain information — about structural features, or the architecture of organs — that cells in a dish alone can't provide. And this is sometimes very important to our understanding of disease." Fetal tissue used in scientific research often comes from aborted fetuses. In an email to NPR, Alta Charo, a professor of law and bioethics at the University of Wisconsin, explains why that is. "Miscarriages are not often an available source, as they do not take place in a controlled environment and may be due to genetic or other anomalies that would render the cadaveric tissues useless," she says. "Therefore, the tissue usually comes from a fetus that has been aborted." Despite the small size of the canceled FDA contract, some observers said the larger political symbolism is evident. "My instinct is that this is driven by politics, and is part of the overall effort to stigmatize and eventually criminalize abortion, as well as part of a larger campaign to roll-back the clock on sexual and reproductive rights," Charo says. However, David Prentice, vice president and research director for the Charlotte Lozier Institute, a conservative think tank opposed to abortion, says the HHS announcement doesn't go far enough. "Canceling a small FDA contract ... seems designed to mollify some Members of Congress and groups who were outraged by the continuing funding of fetal tissue research with taxpayer dollars," Prentice writes in an email to NPR. "But what's needed is wholesale reform across the breadth of HHS. 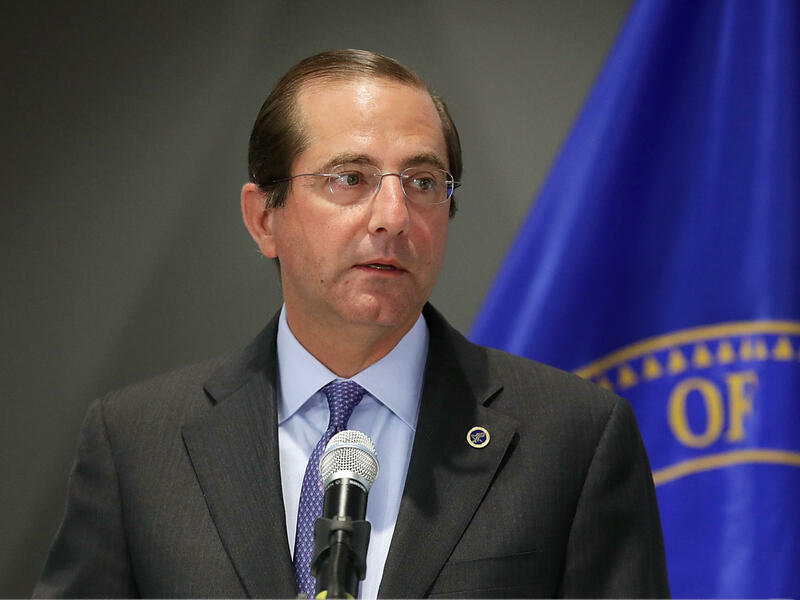 Use of fetal tissue is antiquated research, and [HHS Secretary Alex] Azar should redirect those funds to modern science and better alternatives, including adult stem cells." Science notes that on earlier this month, 45 groups opposed to abortion sent a letter to Azar calling the FDA contract for fetal tissue "shocking" and "unacceptable." A few days later, 85 members of Congress sent a letter to the FDA's commissioner, urging the agency to cancel the contract. The National Institutes of Health, which also falls under HHS, spent $98 million last fiscal year on research that involved human fetal tissue. The NIH said it "concurs that it is important that research involving human fetal tissue should be consistent with the statutes and regulation governing such research and that it is important to have adequate procedures for oversight." "In 2016, Republican members of the House of Representatives, led by Representative Marsha Blackburn (TN), produced a report that urged the federal government to transition to obtaining fetal tissue from miscarriages and stillbirths. But opponents of fetal tissue research have failed repeatedly to pass legislation that would end funding for research using tissue from electively aborted fetuses — most recently earlier this month, when language prohibiting such funding was stripped from a 2019 HHS spending bill." Ross McKinney, chief scientific officer at the Association of American Medical Colleges, says fetal tissue was key in the development of major medical advances such as vaccines for polio, rubella, measles, chickenpox, adenovirus and rabies, as well as treatments for diseases such as rheumatoid arthritis, cystic fibrosis and hemophilia. "The unique characteristics of this tissue are essential to the study of fetal diseases, like those caused by Zika virus, and hold promise for advancing biomedical research in other areas as well, bringing hope to patients struggling with diseases such as Alzheimer's, Parkinson's, and multiple sclerosis," he writes in an email to NPR. "Fetal tissue continues to be an important resource for biomedical research, and the Association of American Medical Colleges fully supports its availability as one of the scientific methods that could save and improve lives." During a 2015 brouhaha, the Obama-era HHS sent a letter to two Republican senators calling the use of fetal tissue in medical research "an instrumental component of our attempts to understand, treat, and cure a number of conditions and diseases that affect millions of Americans," noting that scientists in the U.S. have been working with fetal tissue since the 1930s. NPR science correspondent Rob Stein contributed to this report.